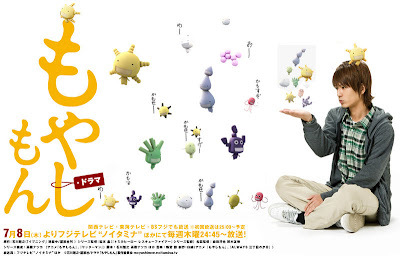 Aired last 2010, Moyashimon live-action series is lead by Yuichi Nakamura (Kamen Rider Den-O) as Sawaki Tadayasu, a first-year college student at an agricultural university, who has the unique ability to see and communicate with micro-organisms and bacteria. Also known as Tales of Agriculture, Moyashimon tells about the story of Sawaki Tadayasu, a high school student who has an ability to see micro-organisms. These micro-organisms are depicted in super-deformed anime style, which are kinda similar on how they really looked like. Sawaki decided to enter the College of Agriculture under the guidance of Professor Itsuki Keizo.